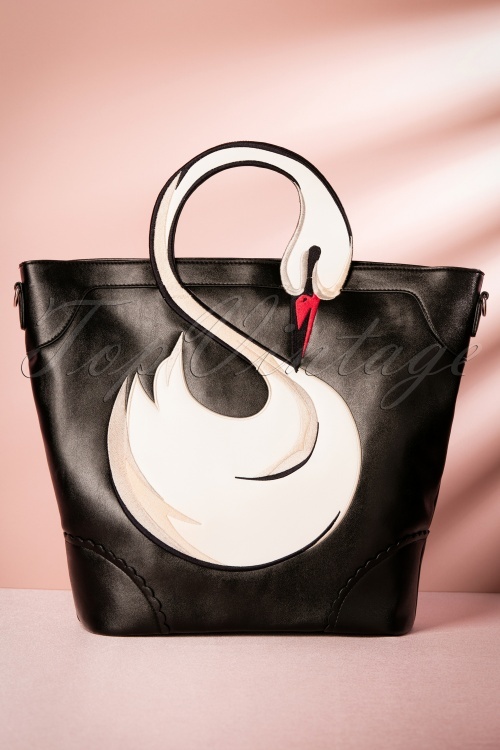 With this 50s Lovely Swan Bag you'll be the prettiest swan in the pond! 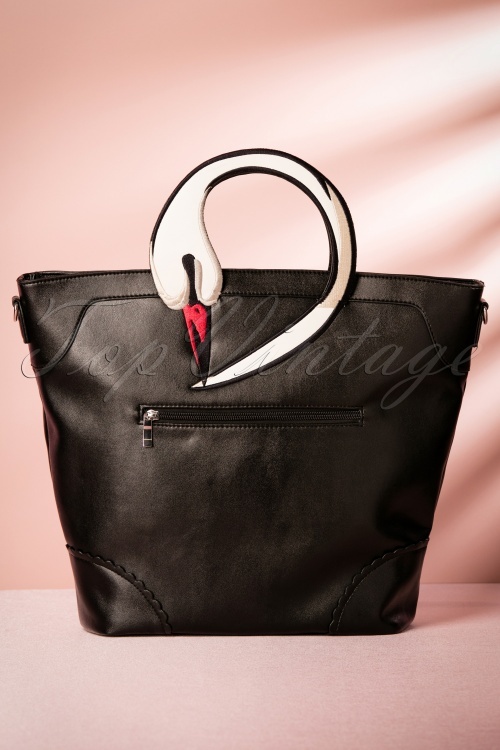 The swan oozes elegance, and that’s exactly how you are going to feel with this big beauty on your arm! 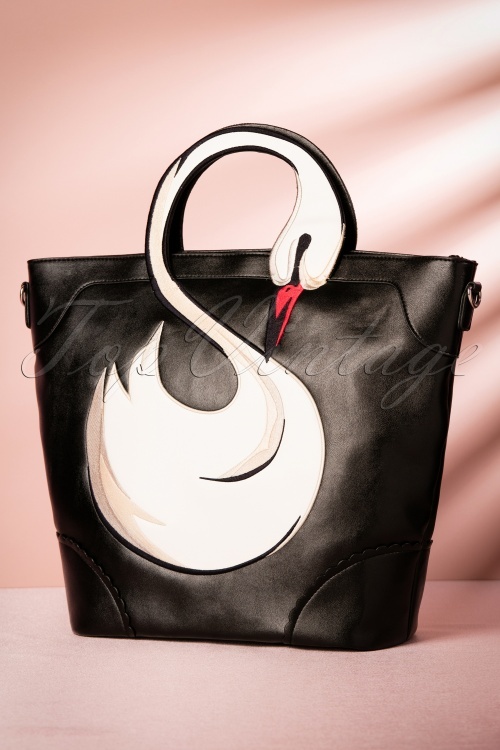 Made from a top quality black faux leather with a big cream colored swan application. 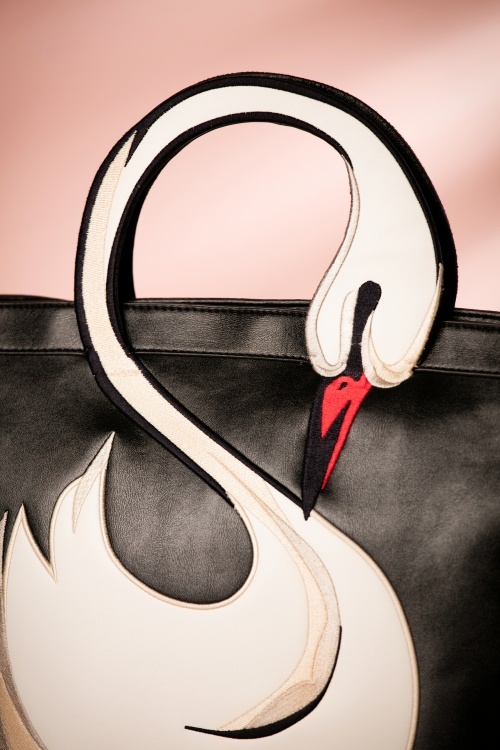 Fun detail; the swan application overflows into the handle so you can literally hold this swan by her delicate neck. 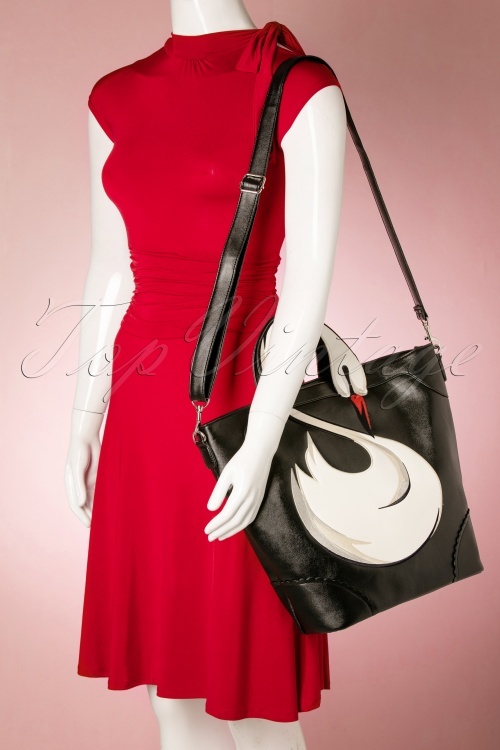 She closes with a zipper, is fully lined and due to the bigger size you can take all your personal belongings with you. Swan-tastic! 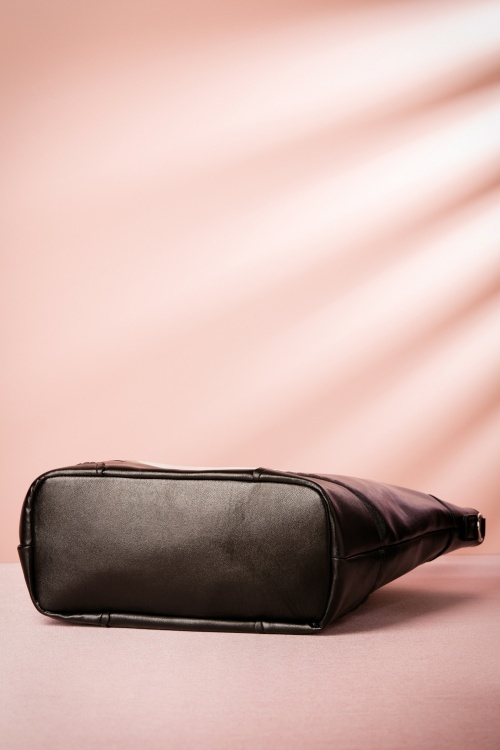 lekker ruim, handige handvaten en lus!